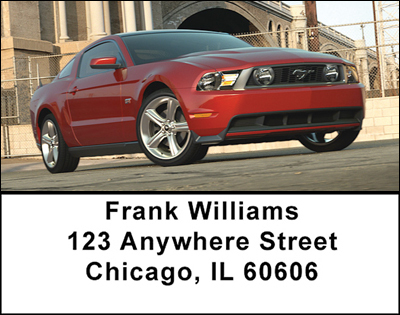 "Pony Cars Address Labels" product is already in your cart. Pony Cars Address Labels feature several rotating images of these small bodied cars with their over-sized engines. The first of the pony cars was the Ford Mustang, hence the name, 'pony car'. NASCAR brought the pony car to the July 2010 Subway 250 race in Daytona in its second tier Nationwide Series. Perhaps this will bring about a revival for the pony car.